I think sandwiches are one of the most underrated foods out there. Believe me, I have made my share of sandwiches over the years! They are totally portable, can be vegan, gluten free, and whatever you love can be added in! From Peanut butter, banana, and Nutella to a classic twist on a Monte Cristo classic, a great sandwich just makes the day easier to get through! I love being able to serve up toasted sandwiches as a side to homemade soups. Since I don’t love doing a lot of cooking on Sundays. Don’t judge me! It is my day off too! Being able to make a great sandwich that is healthy and hearty is perfect. This is what Renee has to say about this family favorite. I can’t think of a better “grilled cheese” than this delicious and easy-to-make Monte Cristo Style Grilled Cheese Sandwich. 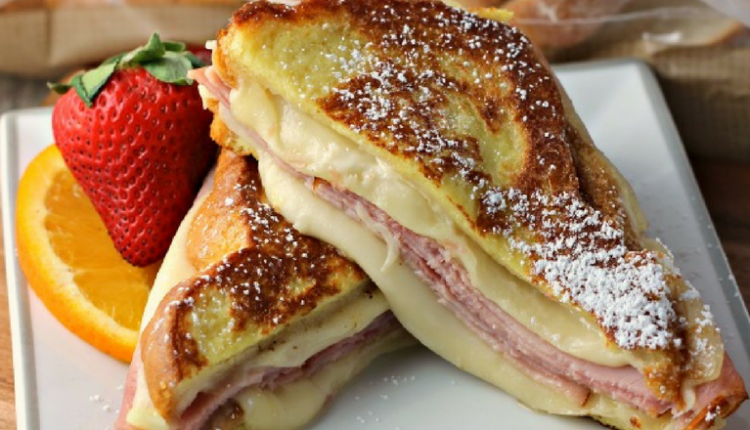 I was first introduced to the Monte Cristo as a kid. This was one of my own mother’s quick, go-to meals when I was growing up, so as you can imagine, it sort of holds a special place in my heart. Quick Tip: I love using different kinds of bread and think this might be great on a Rosemary garlic french bread. What do you think? Photo and Recipe courtesy of Renee pf Renees Kitchen Adventure.